Arsenaltower Vlissingen - CLS LEDs light up your world! The Arsenaltower in the city of Vlissingen (in the Zeeland province of the Netherlands) is a watchtower measuring a staggering 65 meters! Visitors to this tower can enjoy a marvelous view over the complete city of Vlissingen and the estuary called the Westerschelde. To reach the highest point of the Arsenal tower, visitors can use the glass elevator. For lovers, there is even the opportunity to exchange their vows at the hall within the tower. 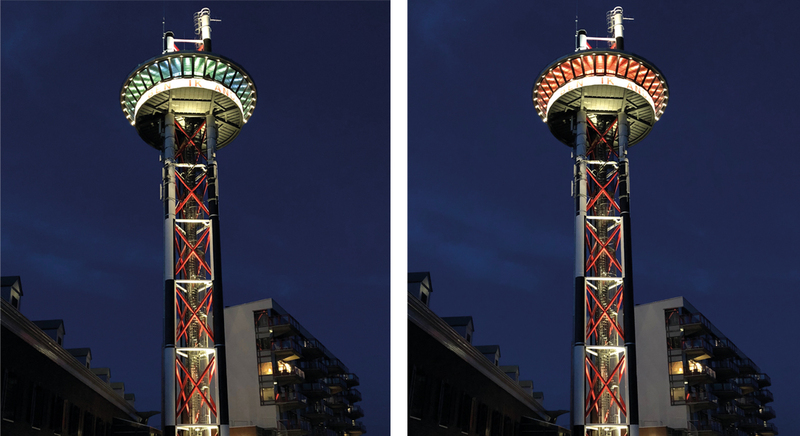 CLS partner NEW URBAN VIEW took care of the whole process of the special lighting & illumination of the Arsenaltower. Light designer Jeroen Jans has really outdone himself with this stunning project. All parties involved speak of an iconic object for the city of Vlissingen. The colour effects in the upper part of the tower, the so-called crow’s nest, were realized using the REVO Compact Colour Flow. The name of the REVO Compact already shows its worth. The fixture only measures 78 x 78 x 100 mm, but offers a remarkably high light output. The photos clearly show how immensely powerful the light images are, that can be reached with this fixture. 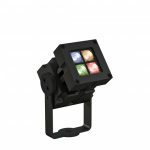 The REVO Colour Flow series are available in variants of 10 – 80 Watt and in numerous varieties when it comes to light colours and beam angles. Power and DMX electronics are fully integrated in the fixture, which enables an easy and swift installation procedure. The CLS REVO series have been successfully used in thousands of projects worldwide. 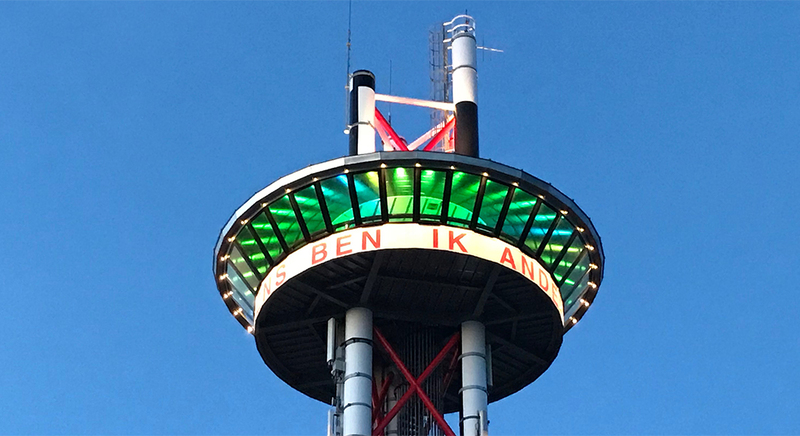 We wish all visitors to the city and all residents of Vlissingen a lot of fun and pleasure as they look out onto this beautiful beacon.